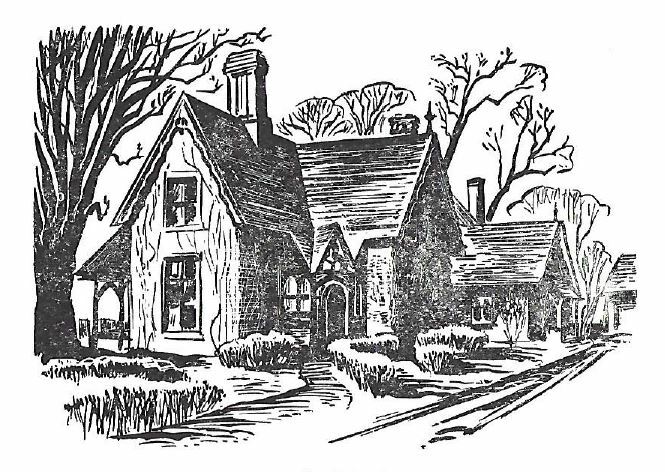 ​Founded in 1959, the Grosse Ile Historical Society(GIHS) serves as an invaluable resource for Grosse Ile history, life, and culture. The GIHS’s collections tell the story of the Island through 240+ years and consist of hundreds of rare and unique documents, artifacts, and irreplaceable treasures. The GIHS strives to enhance the understanding of our Island’s past and its connection to the present, demonstrating that history is not just a series of events that happened to individuals long ago but is integral to the fabric of our daily lives. Beyond collecting and researching, the Grosse Ile Historical Society wants to offer ways for the public to enjoy our Island history through engaging programs, thought-provoking exhibitions, and newsletters. The GIHS collections contain many famous documents and artifacts including a copy of the 1776 treaty signed by the Macomb brothers and the Island-dwelling native Americans (the Potawatomi) ; an early model of the outboard motor; photographs of the construction of the Livingston Channel; Naval Air Base and war time artifacts; items representing early life on the Island; pictures of early dwellings, churches, schools, and businesses; photographs and artifacts from various modes of transportation; and much more. ​Browse a selection of objects from the Society's vast collection showcasing a range of items—from treasures to quirky historical artifacts. These violins were used by the Boucher family from 1868-1920. Louis Boucher and his nephew, Philip Boucher, played for square dances held in family homes on East River Road. Canadian friends crossed over the Detroit River by boat and on the ice to join the festivities. ​Grosse Ile's earliest firefighters depended on windmill power to bring river water to the Island to help them fight fires. 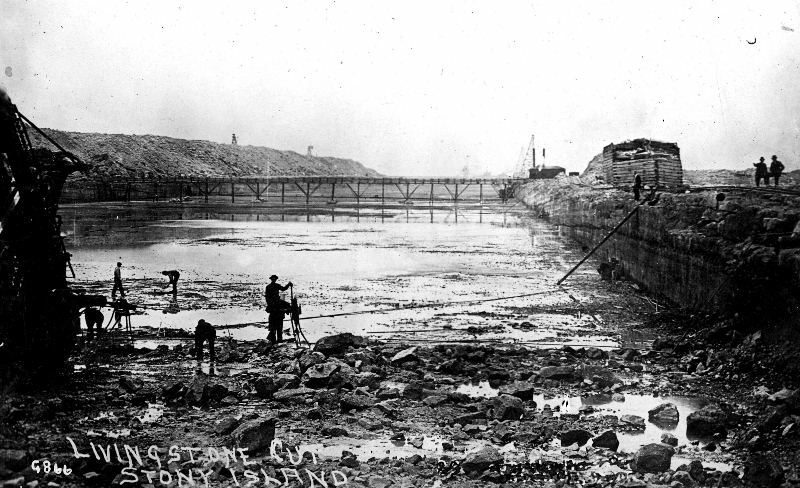 Between 1907 and 1912 a massive widening and deepening project took place in the 12-mile long Livingston Channel leading to Lake Erie. 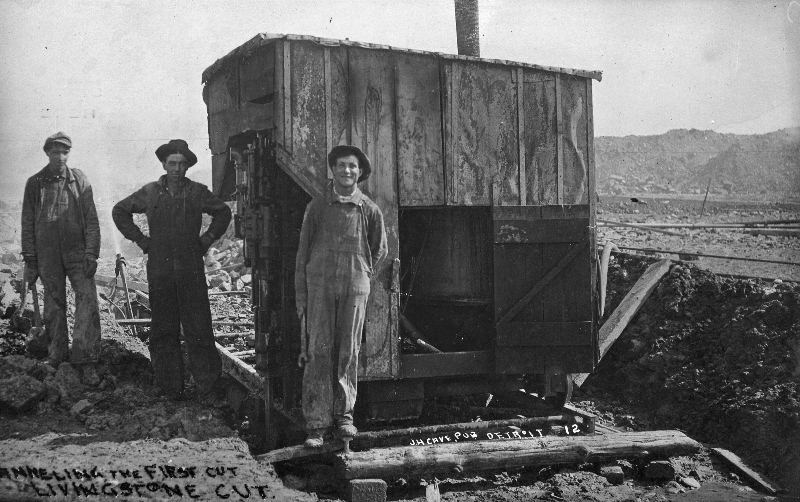 Coffer dams were built to hold back the water, and dynamite was used to blast out bedrock and limestone. The project was the largest and most expensive of any similar work ever undertaken by the U.S. within its boundaries. 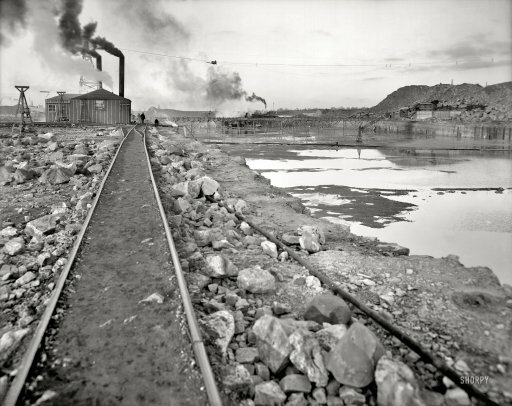 The channel depth was increased from 13 feet to a minimum of 22-23 feet, and the channel width was increased from 300 feet to a range of 450 to 800 feet. Littlecote, a Greek Revival cottage built by Gordon Lloyd in 1859, is just one of the many homes that grace our historic district. The cast iron stove once heated a room in Littlecote when it was the home of Judge Samuel T. Douglas, an early Island resident. 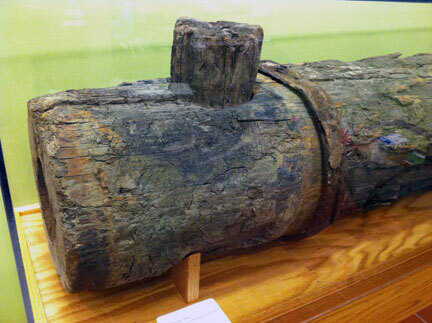 The stove arrived on Grosse Ile in 1867 aboard the side-wheeler Pearl. This Tamarack tree section is an remnant of Detroit's first water system and dates back to 1828. If the fire department was called to a fire in those early years, the firemen dug a hole in the ground to reach the wooden water line, and then they drilled a hole in the wood to release the water. When enough water filled the hole, they used a hand pump to fill their buckets which were carried to put out the fire. After the fire was out, the firemen inserted a wooden plug in the hole they had drilled in the water line and marked the location with a red stake---a "fire plug". The next time there was a fire in the neighborhood, they'd dig up the plug and not have to cut into the main.